If you're ever cold called out of the blue by a broker offering great money making trading ideas there's a 99.9% chance you're being setup. The 'broker' in question is a fraud and a thief who only wants to steal your money. But read these 12 clues and you can easily protect yourself from the scammers. The broker's website will no doubt look very professional but read it and chances are it will tell you absolutely nothing, ie plenty of inane corporate speak about how their clients are important to them and they're dedicated to providing a professional service etc, but nothing about how the company is actually run. Also, be on the lookout for smiley-happy stock photos of busy high-powered executives - it's normally a sure sign of a setup. The company's website will often give the impression that the firm has been in business for a long time but if you check on the age of the domain name you will normally find it was registered less than a year ago, and often within the last few months. The salespeople are very professional and polite and they're 'on your side' and they'll say rubbish like 'we only make money Sir if you make money'. Often the broker will make it very clear that they are regulated, however the Regulator in question will be nothing but a fake website. So check out when the 'Regulator's' domain name was first registered, under 2 years ago and it inevitably will be a scam. If the broker sends you their bank account details, the name of the company to wire cash to will be different to the broker's. For example, you're called by 'The Greenberg Partnership' but are asked to pay money to 'Devonshire Investments Ltd', plus the bank in question will normally be located in a far-off land. Their telephone calls often sound strange, this is because the scammers use cheap Skype type telephone systems to call from abroad - legitimate brokers will always use proper telephone lines. They might offer you some present clients to call who'll act as references but of course they'll all be plants and in on the scam - phone them up and they'll only report good things and how the company has made them huge amounts of money. Try calling the main telephone number listed on the scammers website during business hours and it's odds-on you'll get an answer phone - proper companies in international finance all have manned switchboards. If you're called out of the blue by an 'investment' firm that ticks any of the boxes above then be very careful as the odds are it is a scam. There have been cases where the scammers have called up saying they're XYZ Brokers of London, where XYZ is a fully FSA regulated and legitimate broker. The broker who calls might even call himself the same name as one of their employees. However, this trick can easily be countered by never using the telephone number the broker gives you. Instead, go to the FSA's website and call the company via their registered switchboard number and ask to be put through to your contact, but of course he won't know anything about you or what you're talking about. Look, you're speaking with an outright thief who only has one goal so why be nice? They have no respect for you, they're trying to set you up to steal your cash so tell them where to go. Failure to do this, failure to be firm with them will only lead to problems down the line as you'll remain on their call list and will be targeted a few times a year. A new scam the boiler rooms have been using is where the broker first 'makes' you some easy cash before taking you for a much larger amount. The client will be sent official looking statements showing all the juicy profits - easy money! But what about if you're clever, realise what's going on and try to withdraw some or all the 'profits'? You won't be able to, the broker will make all sorts of excuses about why it's not possible and will probably realise you know what is going on and will disappear with your original investment. 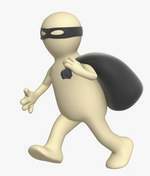 Question - have you ever heard of a low-life thief suing in the courts because he couldn't steal someone's money? Be on your guard as many of these scammers will try to get a verbal agreement from you to buy shares or investments and then threaten to sue if you don't send the money in. But as indicated above none of these scammers will ever sue for obvious reasons. My advice is simple, call their bluff, say "fine, I'll see you in court" and then forget about the matter. Knowledge is power so goes the old saying and this in turn is the secret to keeping your cash safe from being stolen by the boiler room scammers. The more you research on who you're doing business with the more chance you have of spotting the scam. The internet is therefore your best friend as there's always plenty of information online that can help spot a scammer within 5-10 minutes. So if you use the simple clues outlined in this article it's virtually impossible to become a victim of a fraud. Some might argue that the best way to spot a boiler room operation is to see if they're FSA regulated or not. The trouble is that scammers always lie and are often good at supplying bogus supporting evidence. However, they can't fake when a domain was first registered and no legitimate UK broker will ask for money to be deposited offshore. Good luck and above all use common sense to steer clear of the scammers. I can spot a scammer and a thief at 1000 yards. So if you're ever unsure about anything please feel free to email me and I'll get the bottom of it. I'm happy to help you keep hold of your money and of course keep it away from lowlifes and thieves.